PRICE - Rs599/- for 3.8gms. 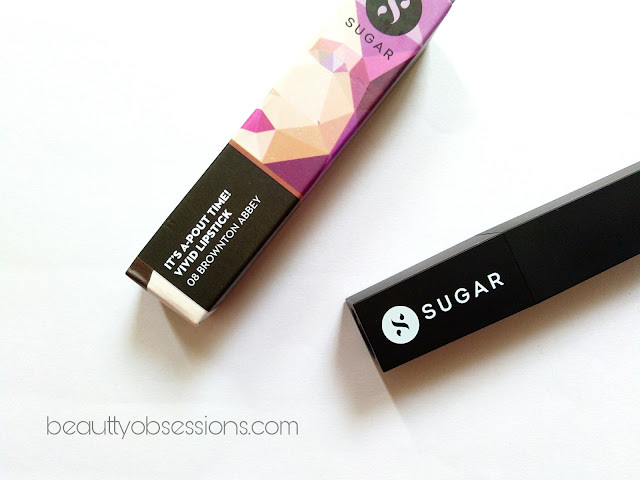 Available on Nykaa.com and sugar cosmetics website.. SHADE & TEXTURE - The shade Brownton Abbey is a beautiful peachy brown kind shade which is great for warmer Indian skin tones..It is a perfect shade for daily wear and office wear.. 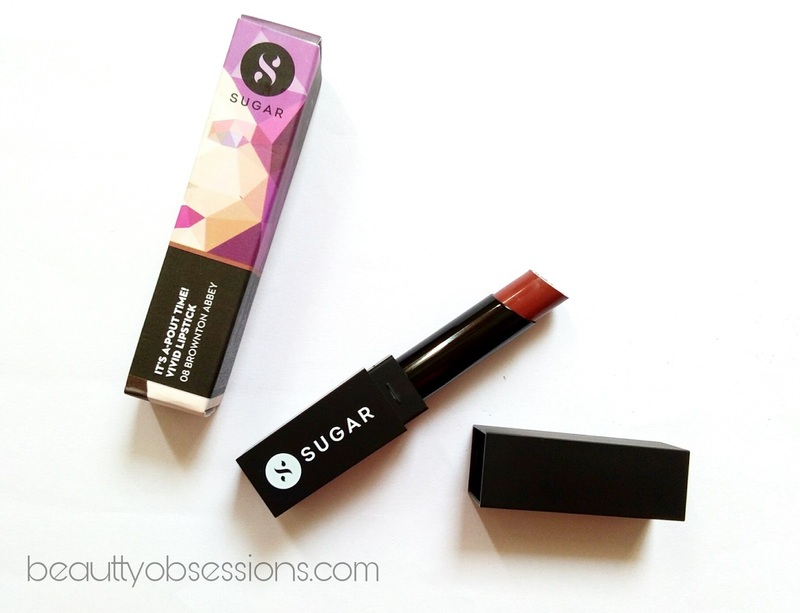 The texture is creamy and soft and glides smoothly on lips.. 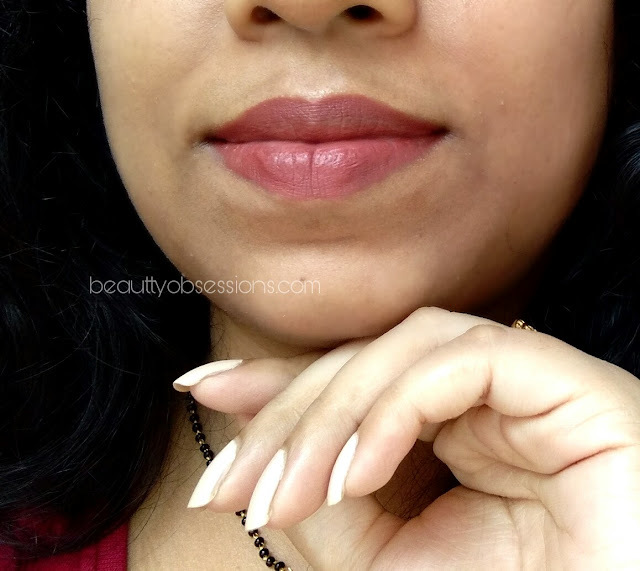 The lipstick is not much hydrating on lips like there matte as hell lip crayons ,hence I prefer to prep my lips before hand or apply a lip balm underneath it.. 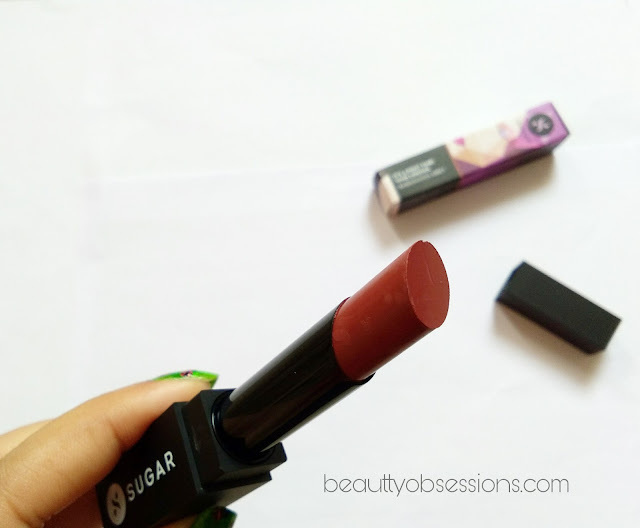 The lipstick settle into a complete matte finish after few minutes of application .. It doesn't settle into fine lines of my lips... 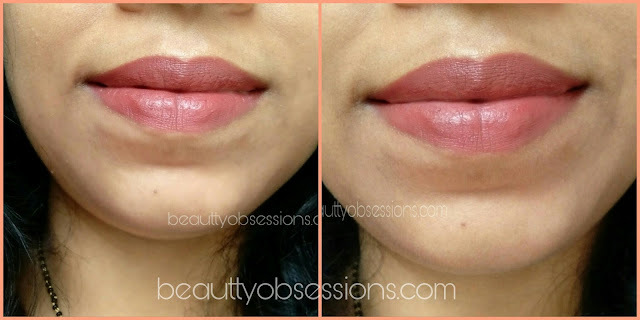 The colour transfers onto things but that doesn't affect the opacity of the lip colour which is totally appreciable.. 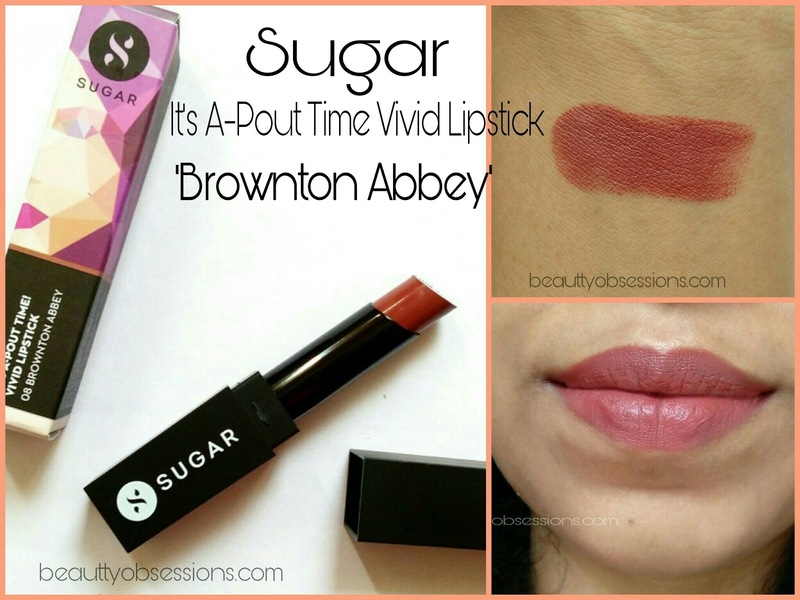 It doesn't feel heavy on lips nor dried out my lips..
PIGMENTATION & STAYING ABILITY - The shade Brownton Abbey is super pigmented... One single brings opacity but I prefer two swipes .. One should be careful while applying this ,as it stains.. 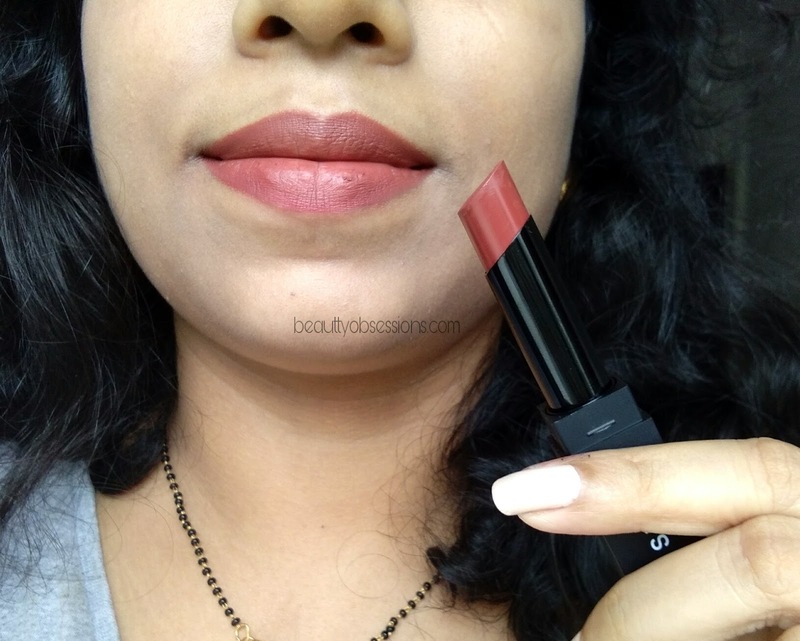 Though the colour transfers a bit but stays around 6-7 hours on my lips with short snacks in between.. After fading it leaves the stains which is pretty as well..
5- Gives a complete matte finish look. These lipsticks are packaged so well. I love such muted brown shades. Definitely buying this! I can relate with the shade so much, love your lip swatch. Lovely shade. I am looking for a brown shade for myself. will check this. It is looking good on you ! Beautiful every day kind of a shade!! Loved it. The shade looks wonderful. 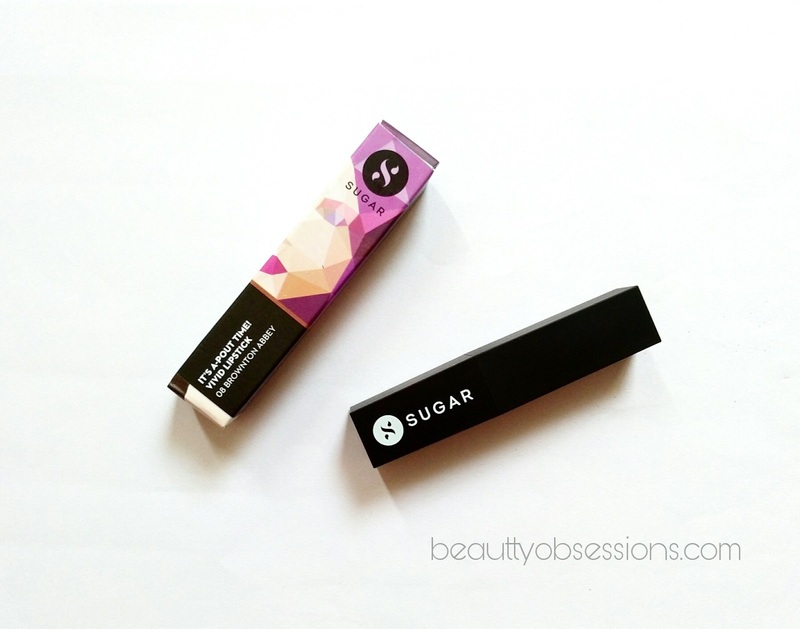 Have not used any product by this brand but the shades and your review makes me try them soon. Thanks for posting this. 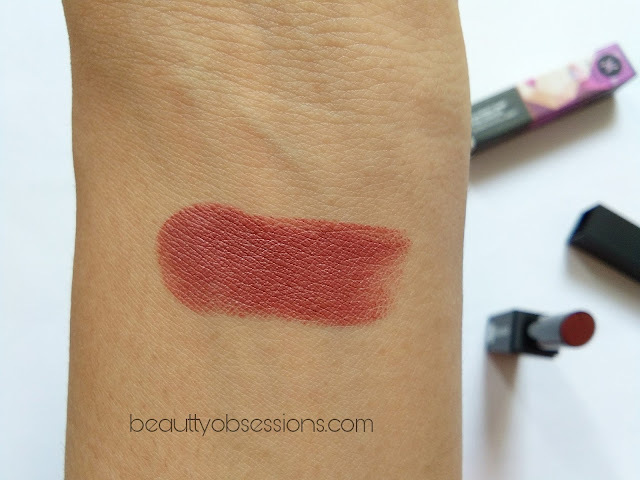 to be honest, swatch looks very beautiful shade with full coverage but on your lips, it seems very light shade.